Textiles consistently rank among Vietnam’s leading export industries, employing up to 1.3 million workers in directly related jobs and more than two million with auxiliary work included. The growth of the garment industry has been nothing short of impressive. 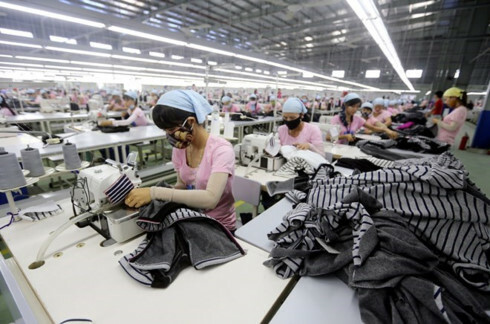 The Vietnam Textile and Apparel Association states that Vietnamese garment exports rose by 14.9 percent in July 2018 alone. China is the only nation that surpasses Vietnam in terms of net garment exports to the U.S.
That said, manufacturers and investors are pivoting towards Vietnam – the conditions for setting up shop are economical and more convenient than doing so in China. In fact, within ASEAN, Vietnam is the strongest competitor for inheriting low value-added textiles and apparel manufacturing from China. In contrast to other leading textile exporters in the Southeast Asia region (Indonesia, Thailand, Malaysia), the share of Vietnam’s textile exports against its total exports has grown in recent years. In terms of revenue, footwear is Vietnam’s second most productive export industry, generating USD 19.9 billion in 2017. The country produces approximately 800 million pairs of shoes per year. Truth is, Vietnam is currently the fourth largest producer of footwear in the world. Only China, India and Brazil make more! 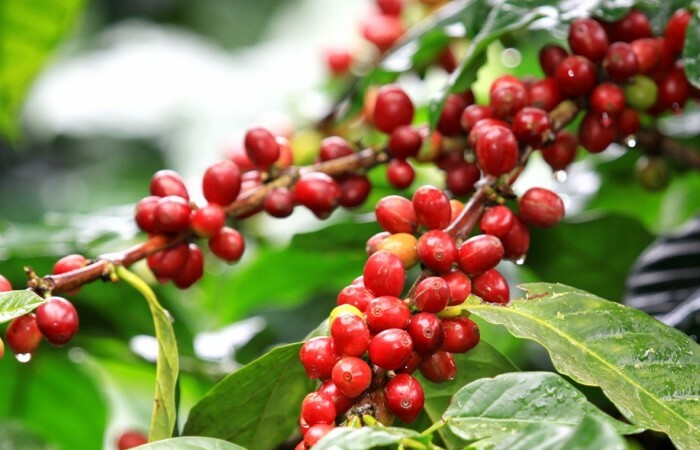 Vietnam is poised to become the world’s largest producer and exporter of coffee. Currently, the country is the world’s second largest coffee exporter, behind only Brazil. However, many experts believe that Vietnam has the potential to even overtake Brazil, thanks to such factors as favorable climate conditions and lower cost production. In recent years, coffee has become one of Vietnam’s key agricultural export products – with 95 percent of output being shipped abroad. 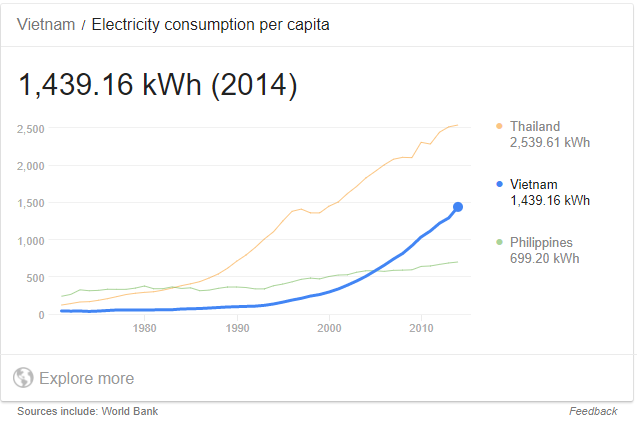 Power consumption in Vietnam has increased almost 5 fold between 2000 and 2014. Estimated growth is forecast to be 12% to 15% in the 2020 to 2030 period. Vietnam forecasts that nuclear power plants will supply 20% to 25% of its power supply by 2050. There are opportunities for regional companies in all project phases, including consultancy and equipment. Vietnam has emerged as an important electronics exporter, with electrical and electronic products gradually overtaking coffee, textiles, and rice to become the country’s top export item. Samsung is Vietnam’s largest exporter and has helped the country achieve a trade surplus for the first time in many years. Exports of smartphones and computer parts now account for more in export earnings than oil and garments. 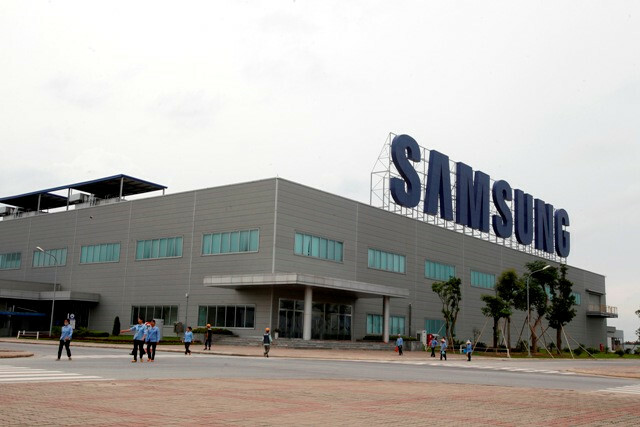 Samsung is attempting to turn Vietnam into a global manufacturing base for its products and has invested over US$10 billion into the country. In addition to that, the company has also agreed to cooperate with the Vietnamese government in order to help develop the country’s domestic support industries. This represents a key business opportunity for foreign technology companies to set up operations in Vietnam and sell their components to companies like Samsung. On July 29, 2014, Intel announced that it had produced its first made-in-Vietnam CPU. By the end of that year, Intel successfully manufactured 70 percent of their CPUs for the world market in Vietnam. There are a number of foreign education institutions doing business in Vietnam. However, there is room for many more due to the size of the market. The Vietnamese Prime Minister signed decision 404/QĐ-TTg in March 2015 to approve a curriculum project worth USD 37 million. The Ministry of Education and Training plan to launch the curriculum and textbooks in 2019-2020 academic year. The Ministry of Education and Training have spent more than USD 10 million on equipment for a pilot smart school project in the last 2 years. A further USD 89 million will be spent in the next 3 years. Vietnam’s health care system is a mixed public-private system. However, the healthcare system has been slow to develop. 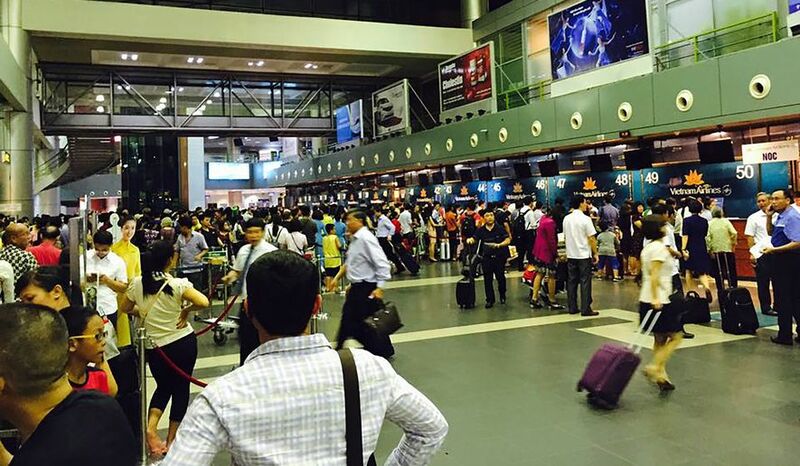 Around 30,000 Vietnamese people travel abroad annually to seek treatment in foreign hospitals. Vietnamese pharmaceutical production and supply capacity is weak. It spends more than USD 1 billion every year on imported drugs. Joint ventures with local companies should be considered as well as direct exports to access opportunities in Vietnam. Most hospital medical equipment is imported as most domestic health equipment in Vietnam has yet to meet national and international quality standards. Local production accounts for only 5% of the market. Therefore, there is potential for medical equipment companies in the region to export to Vietnam. Working in partnership with leading contractors from Japan and South Korea is also an option. There is potential for companies to become involved in the operation of the airline industry in Vietnam. You should have a local representative acting as an importer/distributor for direct exports. In some certain cases, pre-registration of exporters/producers is required.